This seasons dress is a low waist dress. There is a true come back of low waist dresses. These can be both elegant and cute. You can look very grown up or very girly depending on accessories and hair style you go for. If you pick one that’s well cut it’s going to be super comfortable too, by having a low waist you will find they are more comfortable to move around. 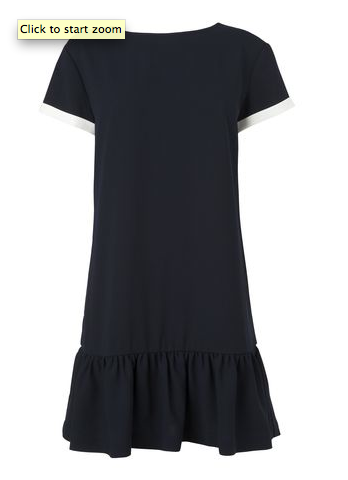 You can create some lovely city chic this season with a low waist dress playing the main part. The low waist dress from Hoss Intropia was my main autumn /winter purchase for these season. Here are some others that I love as well.